It was almost a year since I've travelled to Bangkok, Thailand, and this time I'm going to share with you my plan to soon travel to Bali, Indonesia! Though I'm living in Indonesia, I've never visited Bali before 😅 . You read no wrong statement, it's true. And I wish this year I will really set my foot on that land. So, since Bali is located in tropical land, pack your bikini and light outer with is a must. 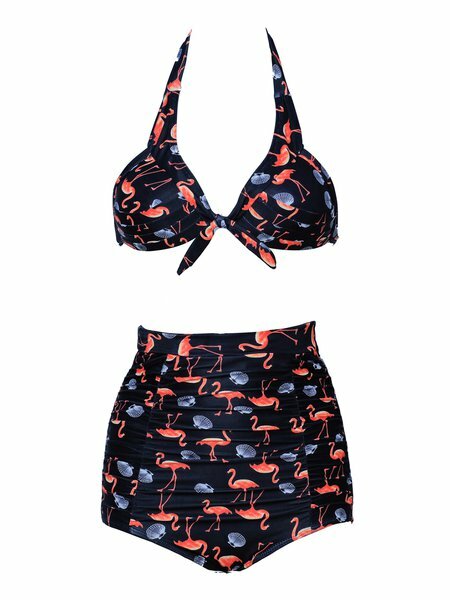 I've been looking around trough online shop for a good and affordable bikini, and then I found StyleWe, an online store based in the United Kingdom. I like this shop for its rich collection of clothes, from daily wear to office wear, street style to travel style, and my favorite style, Bohemian! I'd also loves to wear the outer for my airport fashion. So that's done for my travel fashion highlight for my next vacation to Bali. I hope you guys can find something cute in StyleWe as I did. There are free shipment and discount offer, don't miss the special discount offers too! Happy Shopping and Happy Vacation everyone!